66 Norman Masters – MM was 28 years old when he enlisted with the 1st Field Company Engineers. A brass moulder from Bellevue Hill Sydney. He also came from a military family, his father a Crimean war veteran , his brother a Boer war veteran . 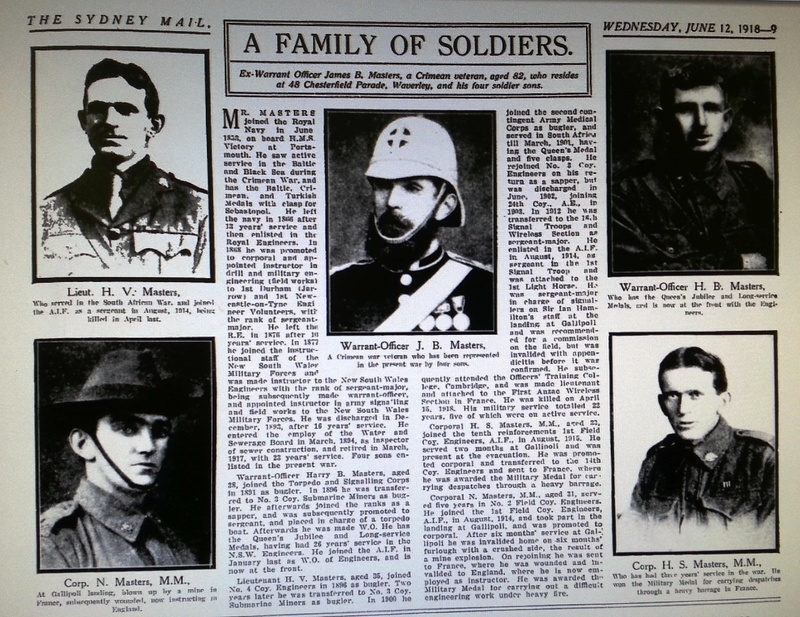 Norman and his three brothers all enlisted in the Australian Imperial Forces. The eldest HV Masters was killed in 1918, H.B Masters had over 20 years military service, serving at the front and H.S Masters the youngest would also become the recipient of the Military Medal and so happened served with the 1st FCE 10th Reinf. 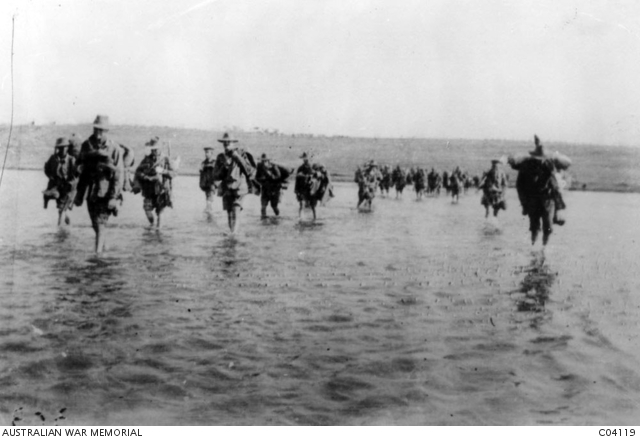 at Gallipoli and was present at the evacuation and then onto the front with Henry Bachtold and co. in the 14th FCE. His commitment to soldiering meant Norman had a real presence in the 1st FCE, he was involved every where……. all the stunts, big and small. He was involved in the assault on “The German Officers Trench” at Gallipoli, and in France he would be on hand to save his friend from being buried alive. In July 1915 aletter to his father was printed in “The Sun” newspaper giving an account of the morning of the landing at Gallipoli on the 25th April 1915. Norman was a man devoted to his duty and his mates. He would make close friendships with his fellow engineers and maintained correspondence with family and friends under some difficult circumstances as he was witness to many events including the deaths of his mates. Norman did recover, embarking from Sydney on the 8th October 1916 on the A40 Ceramic, arriving at Plymouth England 21.11.1916 and proceeded to France 3rd March 1917 and rejoined the 1st FCE in the field. On the 4th of October the company helped to capture Passchendale Ridge. They followed the second wave of the Infantry and when the ridge was captured the company proceeded to consolidate the position by forming a strong point. Norman was wounded, a gun shot wound to his left thigh and his devotion to duty and his bravery at this time earned him a Military Medal….. the citation reads as follows..
His good mates 66 Norman Masters and 99 John Jackson were by his side at the Ypres stunt and helped dig him out. 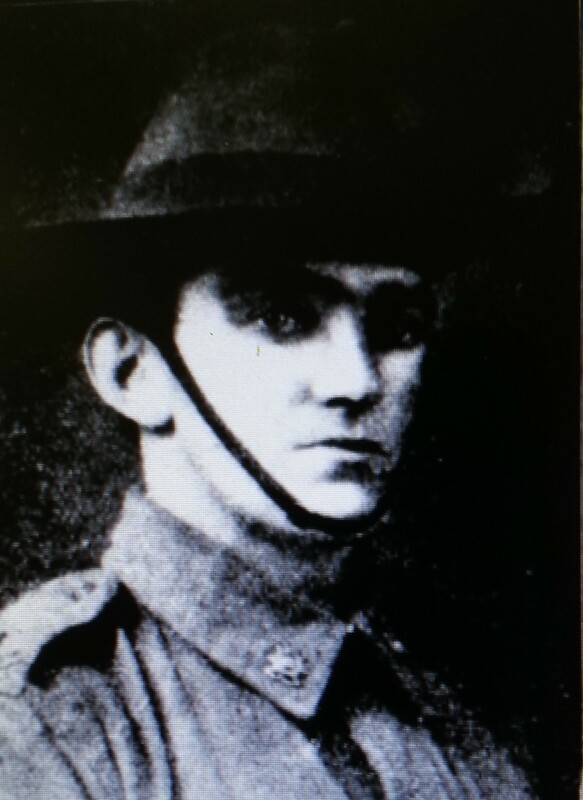 Due to the actions of Masters and Jackson, 167 Albert Currie was lucky enough to be invalided out of the western front. Once Norman had recovered from his own wounds, for a short spell he became an instructor at the Engineering training dept. in Tidworth England . 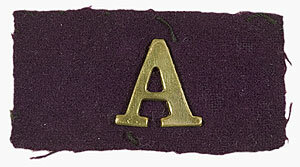 He later rejoined the original company back in France in July 1918. It wasn’t until 31/12/1920 that he embarked on the “Marathon” and finally returned to Sydney. Norman returned to his previous occupation as a brass moulder which he continued up until his retirement. In 1930 Norman and Florence were living at 42 Donald st Hurstville . They had two daughters Betty (Elizabeth) and Norma. In 1943 Norman was living at 113 Victoria st Darlinghurst West and is still a brass moulder, also at this address is Elizabeth Mabel Masters his daughter. 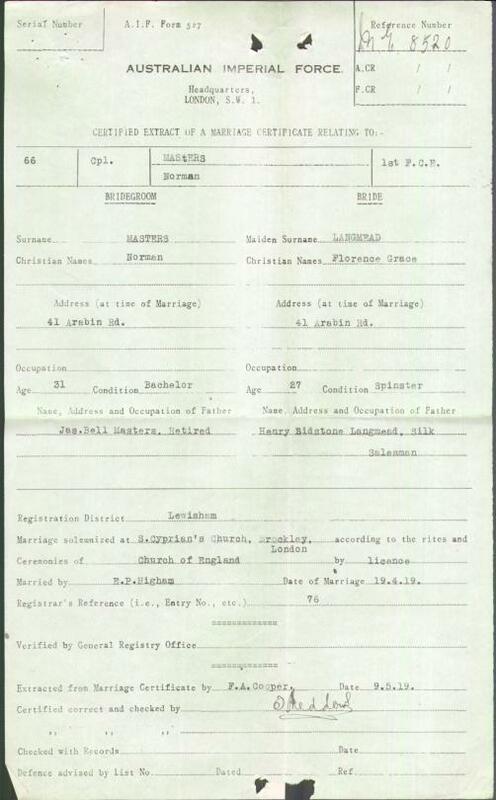 Marriage records show Norman Masters married again in 1950 to Rebecca Lecatsas at Hurstville New South Wales. In 1954 he is still a brass moulder living at 46 McDougal st, Milsons Point North Sydney with his wife Rebecca. By 1963 it looks like Norman finally retired and with Rebecca had moved to Blackheath in the Blue Mountains NSW. Norman Died in 1968 aged 82 years old. His daughter Elizabeth Mabel Masters married Norman Tootell in Sydney 1946. She is possibly about 26 years old ??? Norman Tootell is tragically killed in the same year April 16 in a truck accident . It appears that Norman Tootell had two children, June and Norman from a previous marriage. Elizabeth married again in 1948 – Ronald Hourigan – a policeman in 1968, they were living in Coffs Harbour – ( Ronald Hourigan in 1980 Electoral rolls listed as police sergeant in Parkes ) he died in 28th November 2000 Parkes General cemetery. Elizabeth was with him until her death 24 years earlier 1st April 1976 she was only 56.